A folk inspired design featuring an elaborate heart filled with flowers. 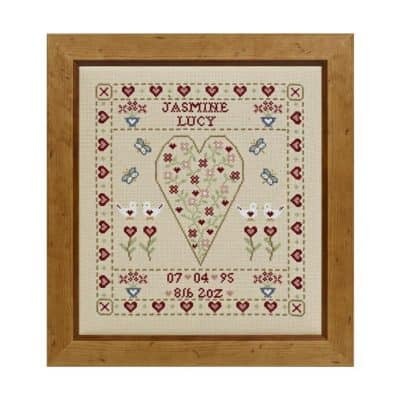 The design is bordered with hearts and is stitched using gorgeous shades of green, pink and red on our vintage coloured fabric. The design is suitable for a girl.